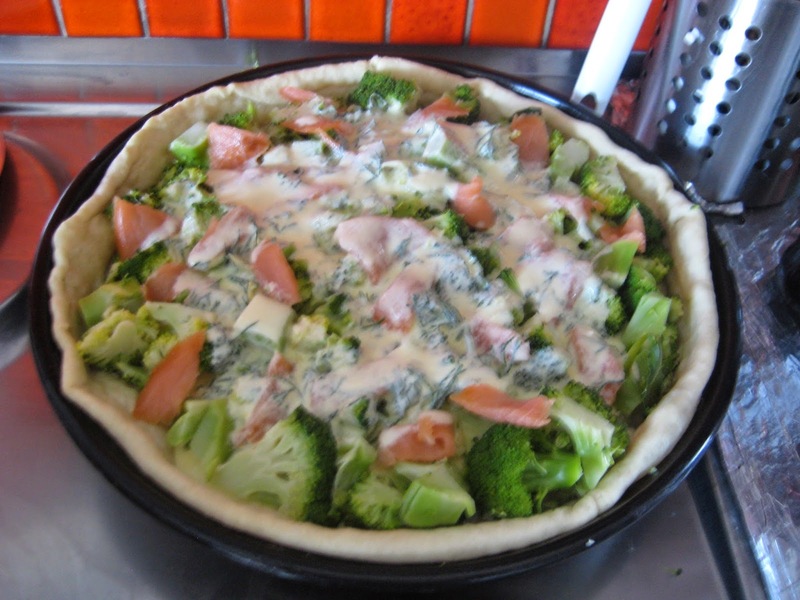 Last week I prepared a quiche with broccoli, salmon, dill and a yoghurt base for a few of my sporty friends: it was light, healthy, tasty and full of proteins and vitamins! 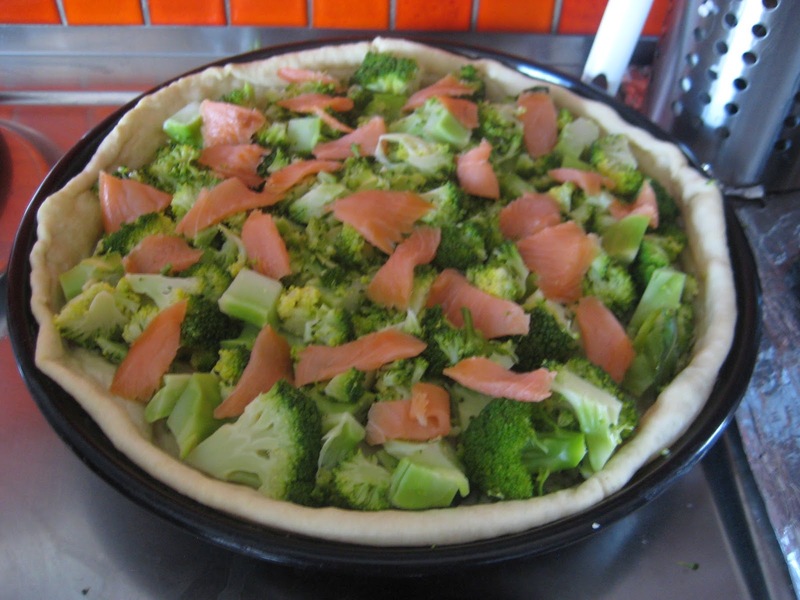 I had had once a broccoli and salmon quiche and thought it was very good. I had some leftover smoked salmon in my fridge so I used that (but it also works with fresh salmon!) and pre-boiled the broccoli a bit so it wouldn't be too crunchy. Finally I added some dill (aneth) because I really like that with salmon. 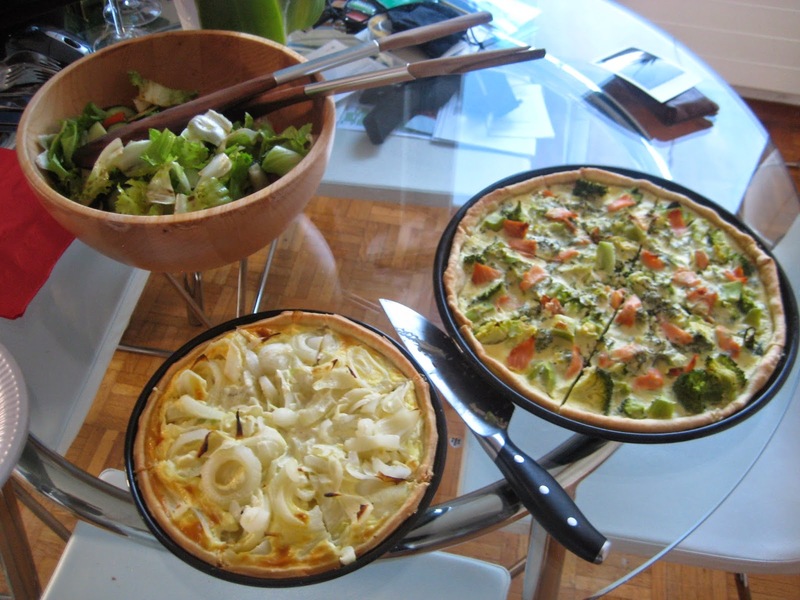 Unlike other quiches I made before such as the Quiche Lorraine and the Onion Pie I replaced most of the cream and milk with yoghurt which made it much lighter and also gave it an interesting taste and texture. 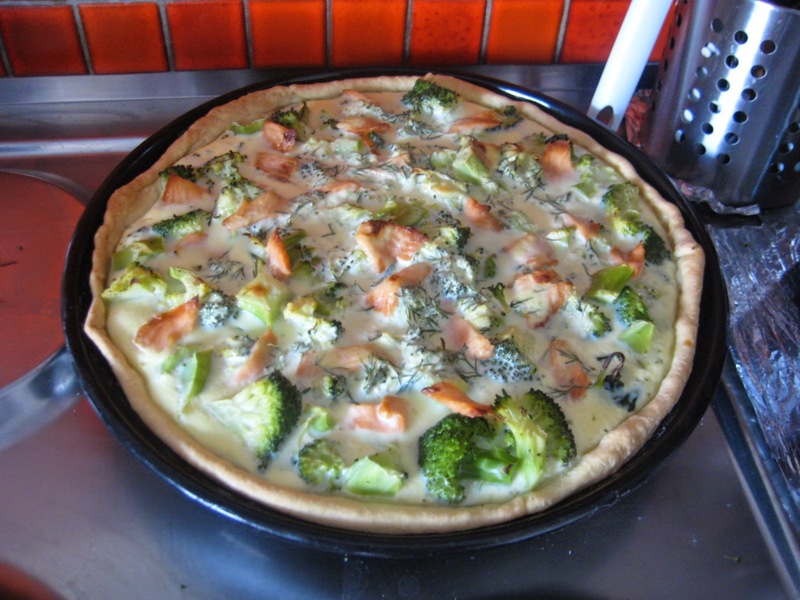 The broccoli-salmon quiche is excellent both cold and warm and it was still good after 3 days in the fridge. It's a nice recipe for lunch and dinner, easy to reproduce, and makes for a surprising quiche! Prepare the dough ahead of time as shown here and refrigerate it (the longer the better). 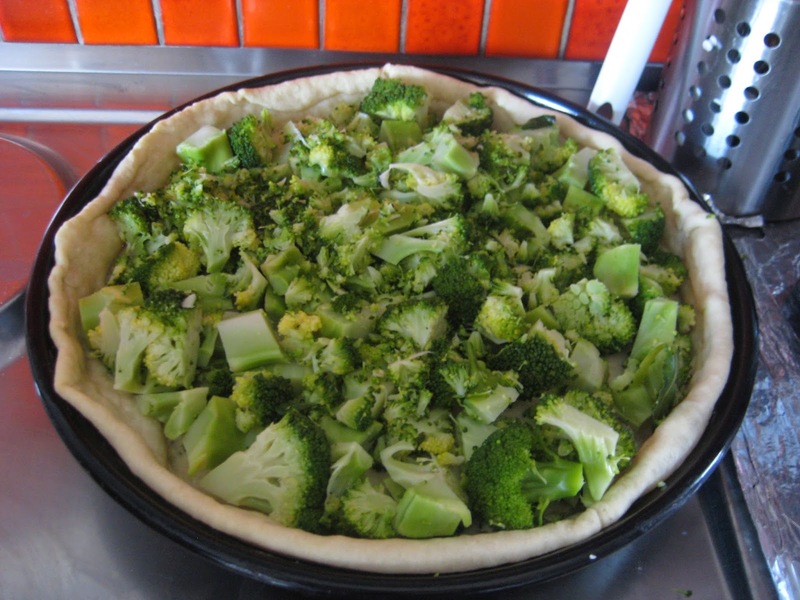 Fold it out onto a buttered and floured pie form, prick it well, and pre-cook 10 min at 200 C.
Cut up broccoli in big cubes and pre-cook them in water (transfer them to cold water, heat it up and stop when the water starts to boil). Slice the smoked salmon in small pieces (2x2cm). In a bowl, mix yoghurt and cream, add eggs one by one, mix with a fork and add some chopped aneth/dill and some pepper (no real need for salt since smoked salmon is already very salty). Spread the broccoli cubes on the cooled down pre-cooked dough. Distribute the salmon pieces and cover the pie with the egg-yoghurt mix. Bake for 30 min at 200 C.